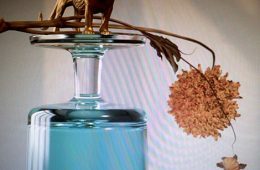 Within the confines of the Destroyer project, Dan Bejar has made music completely entranced with the concepts of abstraction and the power of the phrase, but complete disregard for any sort of traditional narrative within his songwriting. Whether it be the spacey chamber pop of Kaputt or the apoplectic lounge lizard chaos of Poison Season, Bejar operates in a mode of lyrical impressionism, stringing together cryptic emotionally resonant phrases that form a quasi-hypnogogic narrative when everything is viewed in summation. 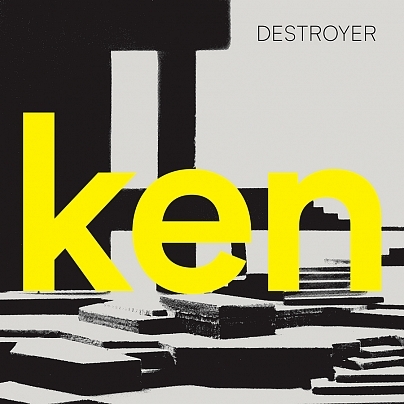 Ken, Bejar’s eleventh LP as Destroyer is no exception to this tradition. Working with a sonic palette that skews toward new wave, the album spins yarns of delusional lovers always looking toward the future, almost evoking Raymond Carver with some hints of Parallel Lines-era Debbie Harry. Album highlight “Saw You At the Hospital” works with a barebones acoustic arrangement, using negative space to highlight the quirks of Bejar’s vocals all the while set against ethereal backing vocals and foreboding pianos to accent the main melody. Showstopping closer “Le Regle du Jeu” utilizes staccato synths and seasick guitars to knock the listener off balance, with Bejar’s vocals darting in and out of the mix, all the while expounding upon the willful ignorance of love before circling back to repeated invocations of the title in almost Gregorian fashion. With ten albums under his belt and a bevy of other work in his discography, Ken feels like a snapshot of an artist finally understanding themselves and using their strengths to convey a vision without breaking a sweat. In its totality, Ken acts as a thesis that creative comfort is not equivalent to creative stagnation, and Bejar shows no signs of stagnating anytime soon.